I hope every one is excited for a fantastic conversation with my good friend and colleague, Kameron Winters. Kameron is the Coordinator of LGBTQ & Diversity programs at American University in Washington DC. Kameron is also a Trans dude with a really great outlook on life and has a lot to share about Trans and queer activism in the wake of today's political climate. I am excited to share this conversation at the tail-end of Pride Month, because Kameron and I initially met for the first time at DC Pride over three yeas ago! 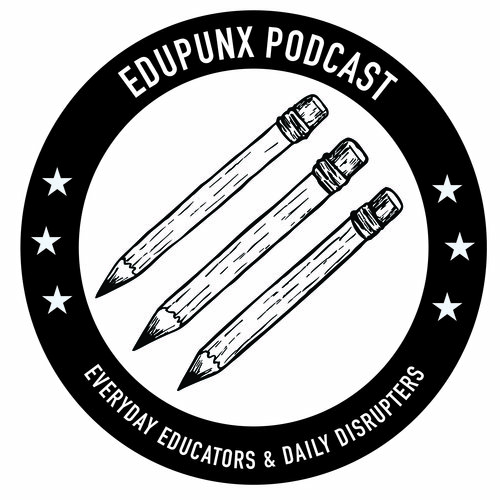 So it's a reunion of sorts on the eduPUNX Podcast. - Kameron started his student affairs career at Berkeley, which has been the epicenter for political controversy lately. - There is a reference to a racially motivated event on American University. - Kameron references the frustratingly sad Gavin Grimm ruling from a few weeks ago. - Student protesters burned American flags at American University after the election. - Oh, I made it into Breitbart this year for hosting some therapy dogs on campus - coincidentally the day after the November election. - If you'd like to follow an inspiring and vulnerable video blogger, Kameron suggests checking out somekindofqueer on YouTube! - And if Instagram is more your speed, Kameron suggests following @TwoTransFriends! - Kameron is a big fan of the book, "Gender Outlaws: The Next Generation" - check it out! - But all-time, Kameron enjoys "Stone Butch Blues," a story of a transgender woman coming out in the 50s and 60s. - Of course, Kameron is a huge "House of Cards" fan - the new season on Netflix is ridiculous! And being in DC clearly had an added bonus to the perspective. - Currently, Kameron is rocking out the Baltimore-based band, Snail Mail, which was recently featured on Audio Tree Live, so check them out! - But Kameron is an old school Matt and Kim diehard. BONUS CONTENT: Check out the fantastic piece Kameron wrote for my nonprofit last fall! - Today's sponsor is the Transgressive Podcast hosted by Lindsay Legé, who is a licensed gender therapist that speaks with various Trans voices in the world in order to elevate the experiences of members of the Trans community. If you would like to specifically hear more about Kameron's experience as a Trans man, check out Episode 3 of this podcast! - Our record label sponsor for the week is The Native Sound, which is a boutique label in New York City, that represents artists like Miserable, No Sun, Sheer, Funeral Advantage, Koji, Petite League, and a whole lot more! You can check out more of their bands and buy some CDs or vinyl by visiting TheNativeSound.com! Or by following them on Instagram and/or Twitter @TheNativeSound. - The intro piece is "Cement," by the band Citizen off of the album, "Everybody is Going to Heaven,' which was released in 2015 by Run for Cover Records. - Today's music break was "CEOT7K," by the band Funeral Advantage off of the new EP, "Please Help Me," which was released in February on The Native Sound. Which, due to the 4th of July falling on a Tuesday, I will release next week's episode on Wednesday, July 5th! Be well and be safe!